Looking to enhance your living space without emptying your bank account? 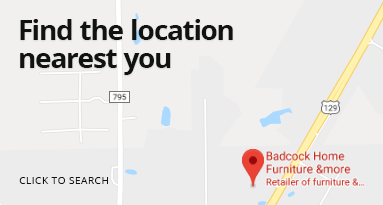 At Badcock Home Furniture &more in Roanoke, Alabama, we have exactly what you need! We believe everyone has the right to beautiful and affordable furniture and appliances. That’s why we offer in-house financing and easy payment plans to fit your budget. Come visit our friendly hometown store at 3075 US-431 Roanoke, Alabama 36274, in Bonners Point Shopping Center across from Huddle House and between Fred’s Market and Hibbett Sports. We are open Monday through Friday 9:00 a.m.-6:00 p.m. and Saturday 9:00 a.m.-5:00 p.m. For more information, feel free to call us during our store hours at (334) 863-7391.